The weather in Chattanooga (and much of the Southeast) has been particularly rainy this past year with rather fickle temperatures. That being the case, there may be more interest in Groundhog Day 2019 than in past years. Chattanooga Chuck, the Tennessee Aquarium’s Chief Seasonal Hog-nosticator, will make a special appearance to greet Aquarium guests in the River Journey Lobby at 10:30 a.m. on Groundhog Day. According to legend, if the Groundhog sees his shadow on Feb. 2, there will be six more weeks of winter. If not, an early spring is expected. 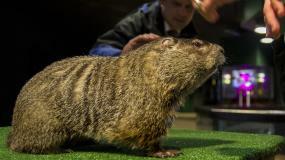 While Woodchucks like Chattanooga Chuck are adorable, they are also true hibernators. In the wild, these furry forecasters typically sleep right through the first part of February, missing all of the hoopla. Still, it’s fun to kick off this final month of winter at the Aquarium by learning about Groundhogs and nature’s other meteorologists. 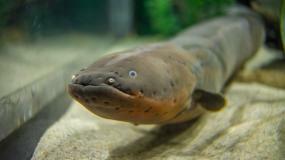 Even freshwater eels have been said to have weather predicting prowess. “If eels are very lively, it is a sign of rain.” With that in mind, guests seeking stunning revelations about the seasonal shift should visit the Aquarium’s resident Electric Eel, Miguel Wattson, in the River Journey building. Afterwards, they can follow him on Twitter (@EelectricMiguel) and monitor his feed for predictions — and snark — throughout the year. 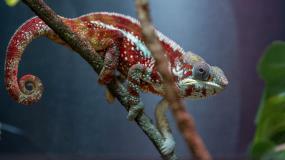 Warm or cold, wet or dry, February is a great time to visit the Tennessee Aquarium to take advantage of special offers. 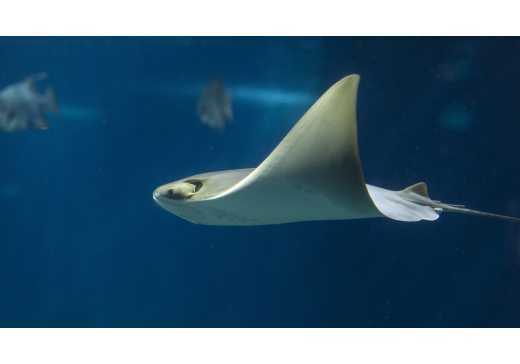 Throughout the month, college students, faculty and staff as well as members of scouting organizations will receive a 50 percent discount on admission to the Tennessee Aquarium and to screenings at the IMAX 3D Theater. The discounts apply to Aquarium tickets and 45-minute IMAX films as well as to combo ticket purchases. To receive the Scout and College Days discount, scouts must wear their uniform or sash. Students must present a valid student ID or online transcript to show enrollment at a physical or online institution. College staff and faculty can present a pay stub to enjoy reduced admission. In all cases, the discount applies to everyone in the paying party. All through the year, the colorful residents of the Aquarium are a joy to watch, but this discount offers the ideal opportunity to tour the galleries and press pause on the winter doldrums. Visitors can forget all about dour, gray skies and frigid winds as they watch the flitting of jewel-like Darters, the stately gliding of Sand Tiger and Sandbar Sharks and the playful bounds of Ring-tailed and Red-ruffed Lemurs. 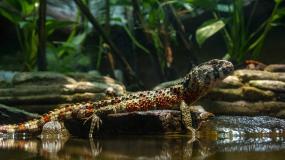 As they explore, visitors will be greeted by some newcomers the Aquarium, including a shoal of iridescent Bigfin Reef Squid and a trio of dinosaur-like Chinese Crocodile Lizards. Guests can also gain deeper insights and get an even closer look at a host of wild ambassadors during the Aquarium’s slate of free Daily Animal Programs. Across the street, the IMAX 3D Theater is hosting a pair of giant-screen films brimming over with unforgettable footage and charming stories. BBC Earth’s Oceans 3D: Our Blue Planet captures incredible moments of life in the planet’s largest, least explored ecosystem, from the coastal shallows to the abyssal depths. Pandas 3D introduces audiences to an adorable bunch of captive-born Giant Panda cubs and the human caretakers preparing them to take their first furry steps back into the wild. 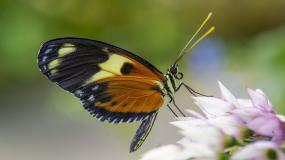 Information about and a schedule of the Aquarium’s Daily Animal Programs is available here. To view the IMAX screening schedule and purchase tickets, click here. This year holds many exciting new developments that will add even more value to a Tennessee Aquarium membership. The new Island Life gallery will open on March 15, just in time for Spring Break. Highlights will include dazzling reef fish from the famed Coral Triangle, Flashlight Fish from the depths of the Pacific Ocean, brightly colored reptiles and amphibians from Madagascar, and a Vancouver Island exhibit that generates its own waves and is home to fascinating cold-water creatures. With so much to explore, you’ll want to come back again and again.